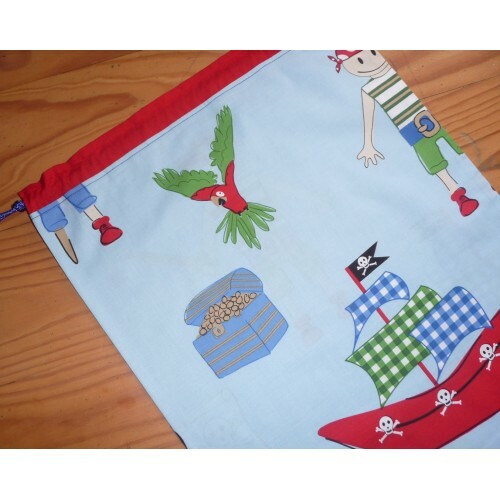 A popular choice for any little boy is a pirate library,toy or sheet bag. Large enough to hold the biggest books. Great pirate design in 100% cotton. Double drawstrings for easy closing. Machine washable. Dimensions are 44cm W x 48cm L.
Made in Australia by Pink Petunias. Pretty girls library, toy or sheet bag. Large enough for those kinder sheets or the biggest bo..
Do you have a musician in the family? This School Chair Bag from Pink Petunias would make the ..
For the little artist in your life. This School Chair Bag features the pocket in a splatter design i..